Cottage, Isle of Lewis. 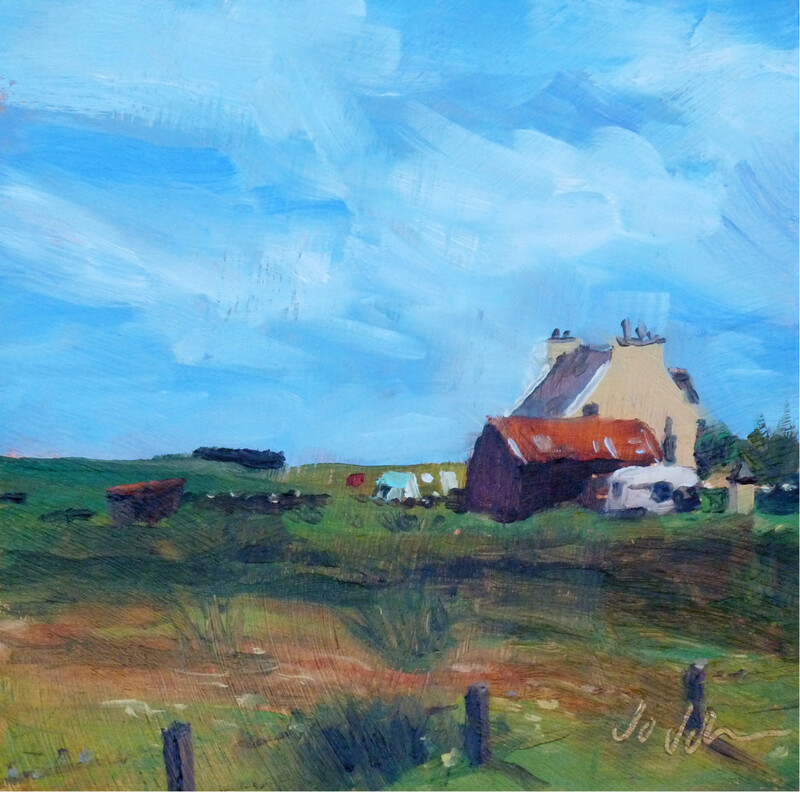 Oil on board, 6" x 6"
I saw this cottage when Norma and I were on holiday in the Outer Hebrides a few years ago. The rusty red corrugated iron roof on the shed caught my eye, as did the light glinting off the dry-stane dykes. The washing flapping in the breeze tells us that this was “a good drying day!” Fortunately the weather was kind to us and we have very happy memories of our stay in the hamlet of Ness, away up on the Northernmost tip of Lewis. The people are so friendly and the landscape is quite unique. Well worth the ferry trips necessary in order to get there!